1 of 4 F23. Holplatz. 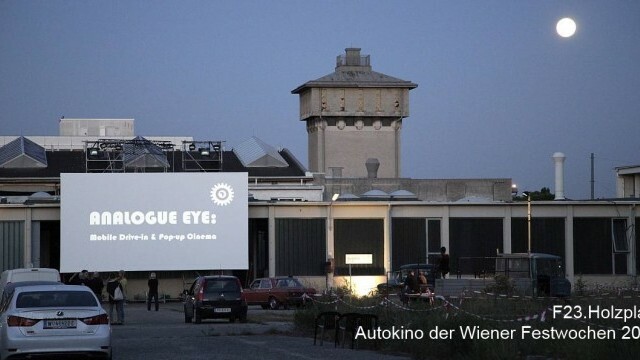 Autokino der Wiener Festwochen 2015. Courtesy of City of Vienna. F23. Holplatz. Autokino der Wiener Festwochen 2015. Courtesy of City of Vienna. 2 of 4 Photo © Peter Glawischnig 2016. Courtesy of City of Vienna. Photo © Peter Glawischnig 2016. 3 of 4 Kanako Sako 2015. Photo © Weissphotography. Courtesy of City of Vienna. Photo © Weissphotography. Courtesy of City of Vienna. 4 of 4 Zusammengau 2016. Photo © Peter Glawischnig 2016. Courtesy of City of Vienna. Photo © Peter Glawischnig 2016. Courtesy of City of Vienna. Vienna is growing rapidly – its population has increased by 11% in ten years. There is not enough affordable space for grassroots and community culture, and financial support from the city has mainly been directed to projects in established neighbourhoods close to the city centre. The outlying 23rd district of Vienna is the newest district in the city, created from eight former villages. As a result it has no real centre. The space between the villages became an industrial area, but many factories have now shut down or relocated. The neighbourhood of Atzgersdorf, part of this industrial area, is now being planned and developed to provide housing and infrastructure for 30,000 people. The 23rd district has no real centre. 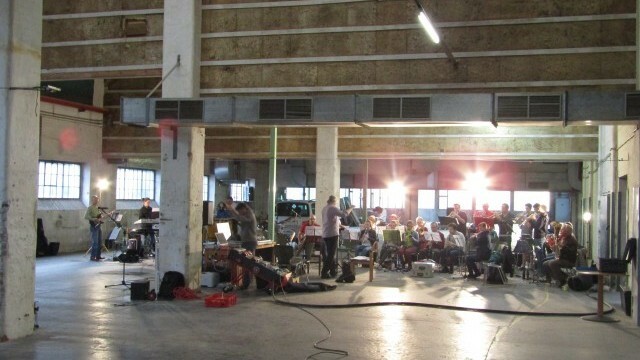 It also has a shortage of cultural facilities, including performing and visual arts venues and workspace for artists and local amateur groups. In order to develop a distinct community identity, and to serve the new residents of Atzgersdorf, the 23rd district needs a new stimulus for communal identity and interaction. F23.wir.fabriken is taking a former industrial site in Atzgersdorf and developing it into a cultural focal point for the entire 23rd district. While preserving the Art Deco exterior of the building – which is under a historical preservation order and cannot be altered – it will transform its 12,000 square metre interior into new, modern spaces with modern technology. F23 will become an open centre for cultural projects and activities. The project is an extremely collaborative one, involving IG F23 (a non-profit organisation), multiple departments of the City of Vienna, municipal officials from the district where the centre is located, and various cultural projects and partners. The project began with a feasibility study undertaken by the City of Vienna in cooperation with Vienna Technical University. A range of stakeholders – including local residents and the public, political parties, architects and more – were invited to take part in discussions. There was no difficulty reaching a consensus on the need for a new cultural centre. The first phase of the project, which is still in progress, started in May 2015. This initial phase involves revitalisation work, the development of a financing plan for the future, and initial temporary cultural projects. 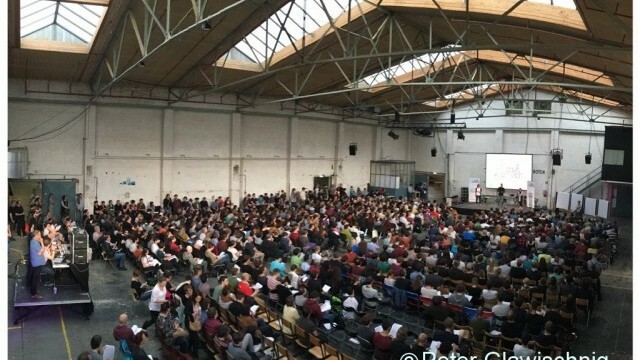 In its first eighteen months, F23 has had over 40,000 visitors for events and activities including Wiener Festwochen, other international festivals, film productions, concerts, exhibits, readings, fashion shows, weekly local farmers markets, children’s programmes, an open-air supermarket, urban gardening, and workshops with refugees. So far, F23 has been very well received by the local community. The current initial phase of work is planned to end in 2018. The second phase will run from 2018 through 2021 and will include the construction of new facilities and further work on financing the project. From 2021 onwards, F23 will be fully operational and working to implement its programmes and develop new partnerships. • Every cultural project is different – and creating an initial vision for a project of this scale is crucial. Not only artists and cultural organisations need to be involved. It is important to set aside a lot of time for communication with politicians and the city government, and exploring potential sources of finance is as necessary as having a good evaluation plan.